Flap's Dentistry Blog: Study: No Independent Association of Periodontal and Atherosclerotic Vascular Disease? Study: No Independent Association of Periodontal and Atherosclerotic Vascular Disease? The AHA committee members conducted a literature search from May 2008 to July 2011 in Ovid MEDLINE on the association between PD and any cerebrovascular, peripheral vascular, or cardiovascular disease. The search covered the period of 1950 to July 2011 and included clinical studies, systematic reviews, and animal studies. A total of 537 peer-reviewed publications met the inclusion criteria. After analyzing and comparing the findings of these studies, the committee concluded that observational studies to date support an association between PD and ASVD independent of known confounders. Because this information comes mostly from observational studies, however, "it does not demonstrate that PD is a cause of ASVD, nor does it confirm that therapeutic periodontal interventions prevent heart disease or stroke or modify the clinical course of ASVD," they wrote. In addition, while the data indicate a general trend toward a periodontal treatment-induced suppression of systemic inflammation and improvement of noninvasive markers of ASVD and endothelial function, "the effects of PD therapy on specific inflammatory markers are not consistent across studies," the authors wrote. The American Dental Association in their news release has even more. The scientific evidence does not establish that gum disease causes or increases rates for heart disease or stroke, according to the American Heart Association in a new scientific statement published April 18 online in its journal, Circulation. The statement is based on the review of more than 500 journal articles and studies, which did not confirm a causative link between periodontal disease and atherosclerotic vascular disease. The ADA Council on Scientific Affairs agrees with the AHA’s conclusions in the statement, which were drawn by a committee of experts, including dentists, cardiologists and infectious diseases specialists. “There’s a lot of confusion out there,” said Dr. Peter Lockhart, CSA representative to the AHA committee and co-chair of the writing group that authored the statement. Dr. Lockhart is a professor and chair of oral medicine at the Carolinas Medical Center in Charlotte, N.C. The writing group, also co-chaired by Ann F. Bolger, M.D., concluded that heart disease and periodontal disease often coincidentally occur in the same person due to risk factors of smoking, age and diabetes mellitus common to both diseases. 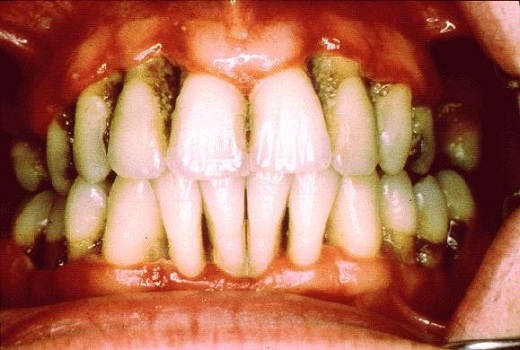 Doctors have suspected a causative link between heart disease and gum disease for more than a century. But statements implying a cause and effect relationship between the diseases are “unwarranted,” the statement’s authors said. OK, so no causative link and both diseases share risk factors. But, in the real world, are patients going to let their periodontal health suffer because their is no provable causal link to cardiovascular disease? No - better to be safe than sorry. Keep brushing and flossing folks.